It is our mission to provide you with a relaxing and enjoyable camping experience. To accommodate all campers, we provide full hookup, back-in, pull through, and rustic sites. Forget something? No need to worry, we have an on-site store with all your basic camping needs including toiletries, propane, camping supplies, firewood and more. We also provide a laundry facility for your convenience. 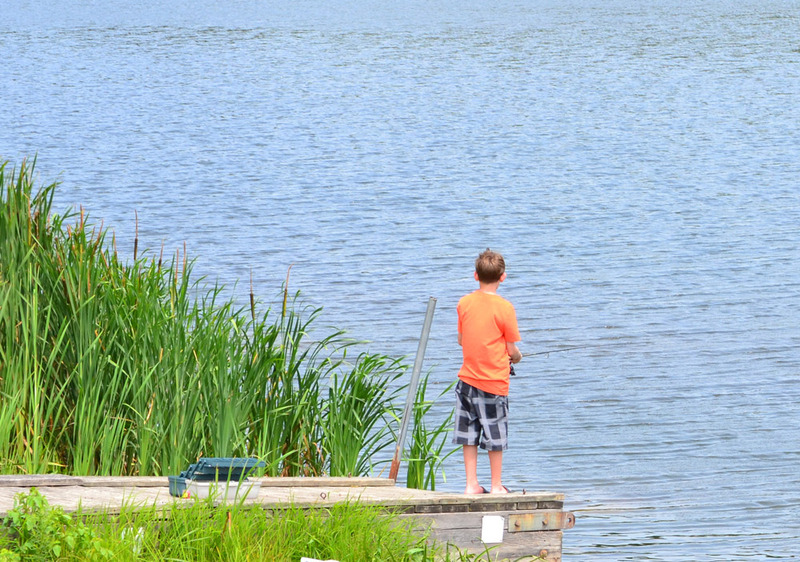 Enjoy our beautiful lake that is stocked with trout, bass and other species of fish. Fishing is permitted from dawn to dusk onlyno night fishing. Our policy is catch & release with barbless hooks. Looking to experience nature and get some exercise? Give the Great Allegheny Passage a try. Enjoy a day of hiking, biking or horseback riding on this well maintained rail-to-trail passage. We are located just four miles from the trail head. If paddleboating sounds like fun, we have plenty of boats available. Enjoy spending time with your family and friends while touring the lake. For safety reasons, children under 12 must be accompanied by an adult and wear an approved life jacket. Enjoy an afternoon of relaxation poolside or while playing on our newly built volleyball and basketball courts. If horseshoes is more your game, we have plenty of pits available. Sports equipment is available at the office. All children under the age of 12 must be accompanied by an adult.